The new must have IT skill set is cybersecurity. IT professionals know that technology is always changing and improving. Keeping up with the trends can lead you to better jobs and higher salaries. IT professionals must adapt with the trends to determine what skills they need to get the best job and career opportunity available. One of the big growing trends is cybersecurity. Many companies are in need of IT professionals that are experts in security. According to Forbes.com, postings in this market are up 74% over the past five years! And by 2019, it’s anticipated that the worldwide need for cyber security professionals will reach 6 million jobs! Cybersecurity has always been a must have for every company but the reason demand has grown so much in the past year is because of all the security breaches we see on the news. Victims like Home Depot and Target have had their customer’s information stolen by hackers so other companies are investing heavily to make sure this does not happen to them. IT workers that have the skills to protect big data will be highly sought after. If you are already an IT professional, these opportunities can be highly lucrative and many who go into this field start out as information security analysts. But if you don’t have direct experience in this realm, you might consider online cybersecurity courses to start you down the right path. Heimdal Security recently published a list of cyber security online courses which is definitely worth a look. If you are just starting out, cybersecurity expert David Gewirtz recommends focusing on IT certification and programming skills first so that you have a strong base of knowledge. With this foundation, you can move on to the more specialized area of cybersecurity. To learn more about these roles, check out The Top Highest Paying Jobs in Information Security. Interested in learning more about breaking into this field? 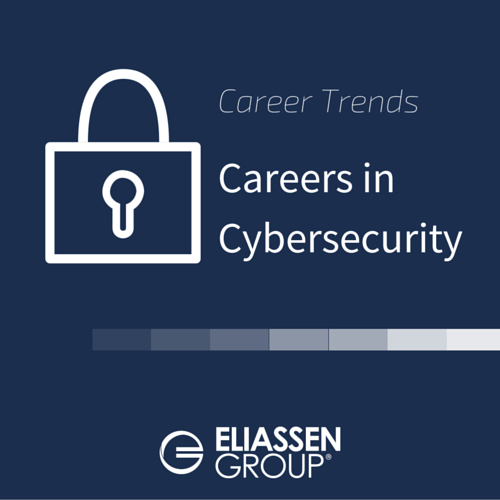 Eliassen Group can help you find the jobs and career opportunities in cyber technology and big data. For more information, give us a call at 800-354-2773 or email us at solutions@eliassen.com.